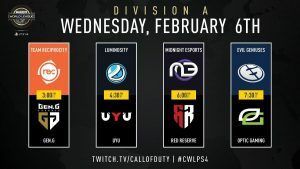 Division A of the Call of Duty Pro League is set to start on Monday February 4, 2019. Overall the Pro League contains 16 teams that will compete across a 12 week long season. The league is separated into two divisions, Division A and Division B. 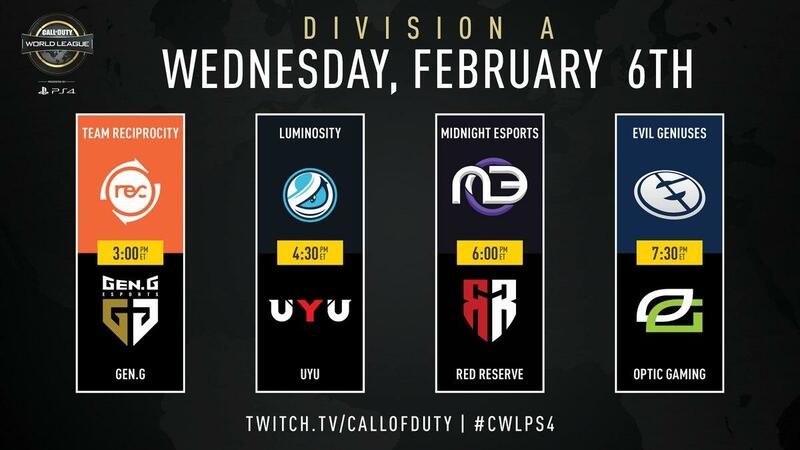 Week 1 will feature matches from Division A. 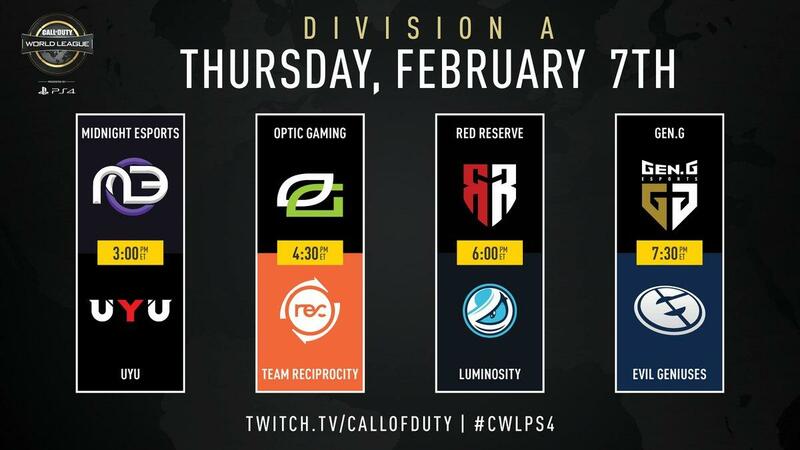 Each team will play the teams in their division twice, and the teams in the other division once. The top 4 teams in each division at the end of the season will advance to playoffs. Once a team makes it to the playoffs they will fight for their share of the season 1 prize pool of $710,000. On top of the prize pool teams have the incentive to not throw their matches with a $2,500 match win bonus. 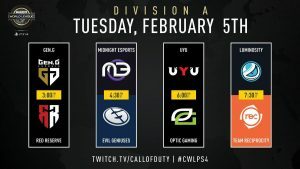 Along with the money earned, players will be earning pro points for league matches played. Each league match on will reward the player with 1,000 pro points, and each match lost will reward them with 500 pro points. 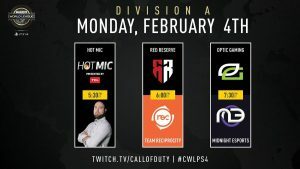 Opening week will start off with “Hot Mic”, MLG’s pregame show on February 4 at 5:30 PM ET. 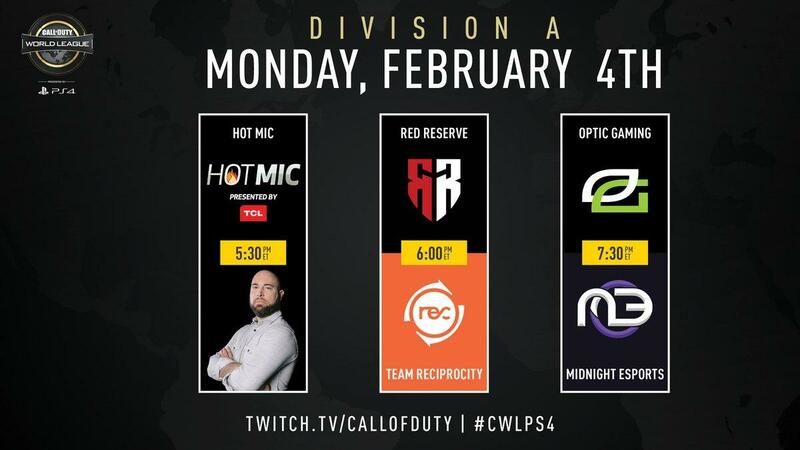 Following the Hot Mic pregame show there will be two matches to round out the evening. 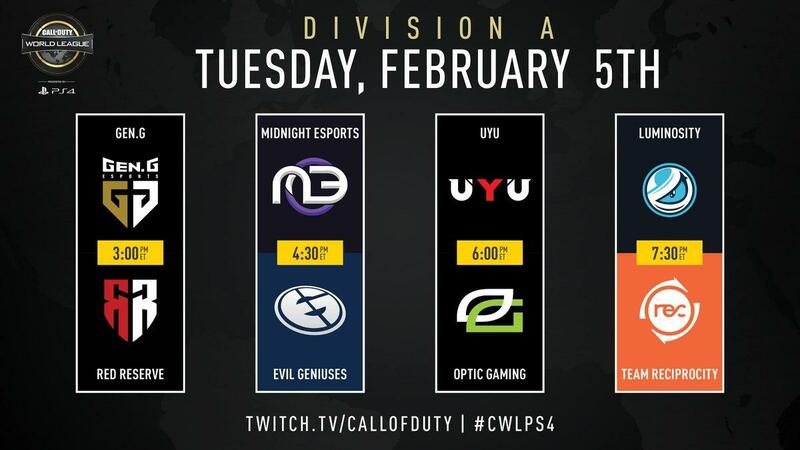 Following day 1 will be 4 matches each day on the 5th, 6th, and 7th. 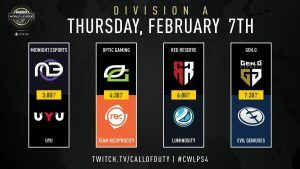 The schedule was announced on the CWL twitter. You can view the released schedule in the images below.